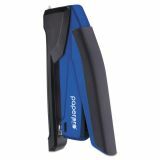 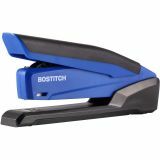 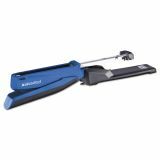 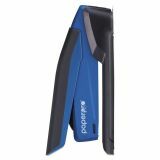 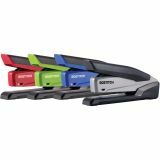 Bostitch PaperPro InPower Spring-Powered Desktop Stapler, 20-Sheet Capacity, Blue - Desktop stapler offers effortless operation, ultimate convenience and reliable performance. As a true office necessity should, this easy-to-use technology makes repetitive stapling fast and easy. 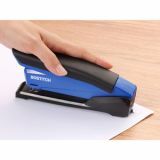 With only the push of a finger, staple up to 20 sheets of paper - a perfect alternative to bulky, reduced-effort staplers. 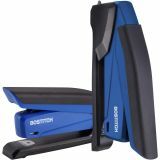 Ergonomic technology is also conducive to those with arthritis and repetitive stress injuries. 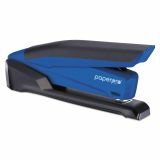 Staple jam-free design makes stapling painless at work, home or school. 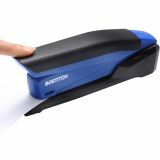 Desktop stapler opens for bulletin board tacking and crafting. 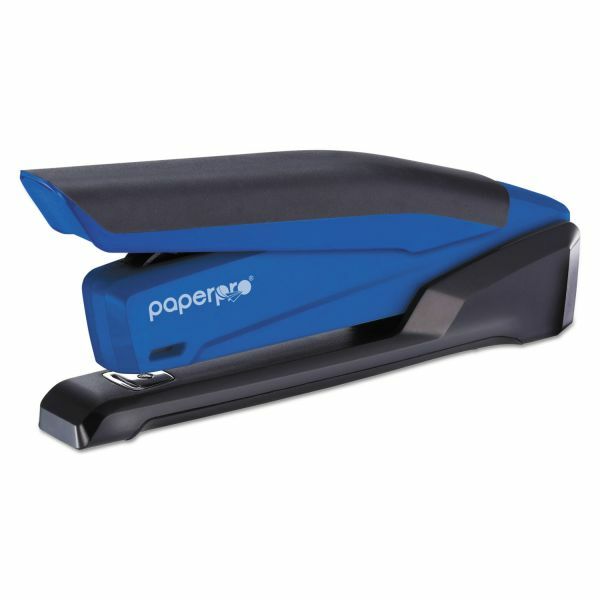 It uses PaperPro Premium Standard Staples. 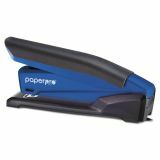 Staple capacity is 210.